Born Again Media is an online marketing company that provides solutions for businesses looking to increase revenue by implementing content-heavy SEO and CRO strategies. We develop a tailored SEO strategy for your website based on a solid understanding of your business, your customers, and Google. Our expert copywriting team will create high quality content; exposing your business' authority in the industry to Google, and your customers. While we make your business #1 in Google, we work on making sure your improved search engine visibility also translates into more customers. We'll provide the content and technical expertise to give your business the exposure it deserves. By implementing an effective online marketing strategy, we will help you reach a global audience that is interested in your solutions, and just a step away from becoming a customer. We optimize your digital marketing strategy from the ground up, to showcase your industry authority to Google and your customers. We have the skills and experience to take your site to the top of Google's search results. By understanding your business, and its customers, we are able to implement the best strategy to rank high in Google for the terms that matter. Our commitment to your business means we periodically track your organic traffic performance and adjust the strategy according to your needs. A well-set up Google Analytics is essential to understanding your customer behavior, track overall strategy performance, and conversion rate. A deep analysis of your content marketing strategy can yield the biggest opportunities for improvement, or point to common pitfalls. We make sure your site meets all the technical requirements necessary for a successful SEO strategy; these include source code quality, page speed, HTTPS, URL structure, and many more. 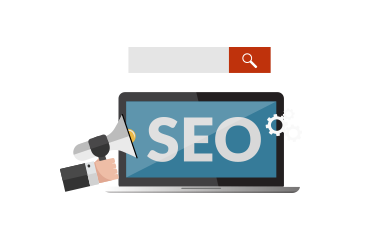 Our team has experience successfully addressing search engine penalties, algorithm updates (such as Google Panda and Google Penguin), negative SEO campaigns, and various crawling issues. We believe in a content-first strategy to search engine optimization. Our team of SEO specialists and expert copywriters research and analyze your business, competitors, and customers to develop an effective online marketing strategy. With a solid foundation in place, and clear understanding of your online customers, Born Again Media will help you reach a wider audience, and drastically improve your website's conversion rate. All members of the Born Again Media team committed to the success of our clients. Our team is comprised of SEO specialists with years of experience, talented copywriters, and developers that can solve any technical challenge. © Copyright 2019 Born Again Media, LLC · All Rights Reserved.